You deserve this . . . Nothing says, “pamper me” like taking time out to have a health and wellness day. The Healing Station would like to invite you to indulge in a healing journey benefitting both body and spirit, and wants you to leave our health and wellness spa with your batteries recharged and your spirit soaring. Let’s face it: you spend so much time caring for everyone else; you deserve a little time for yourself. 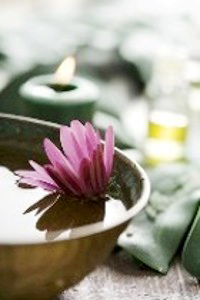 Taking time to relieve stress, to relax your body and your mind, and to make yourself look and feel beautiful will help you get through life’s stressful moments with more calmness and peace, enabling you to better able to attend to the myriad things you care for with more patience and grace. And if you have skin issues, we are here to help with acne treatments, dry or aging skin, treat ravages of rosacea or to help out in any way we can — because we care. On site Chair Massage ~ We come to your office where everyone can enjoy a session. Minimum of 2 hours required. Asian Foot Treatment ~ Enjoy a warm relaxing foot soak enhanced with the scents of Asia, followed by a lotion massage of the feet.